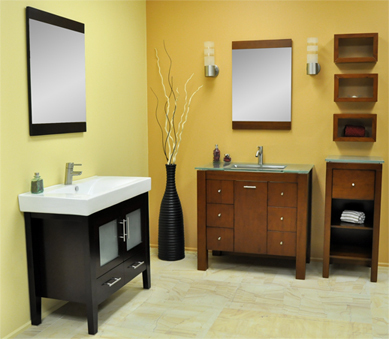 Bathroom Vanities blog: GREAT BATHROOMS START AT BATHROOM PLACE! You can increase the value of your home by making your bathrooms more functional and elegant. If you want to turn a plain and old-fashioned bathroom into your own spa, a good quality bathroom vanity from Bathroom Place is a great beginning. To get ideas and see the latests trends in bathroom design visit one of our showrooms in South Florida. We have locations in Pompano Beach, Hialeah, and Kendall/Miami.